Times have changed and we are super spoiled for choices when it comes to buying a new car. A very well balanced package with an excellent maintenance plan for the next 5 years. But, somehow my Dad refused to opt for a Chevy and yes; I failed to convince him. This was a tricky one. Considering the space management of TATA this was a considerable option. 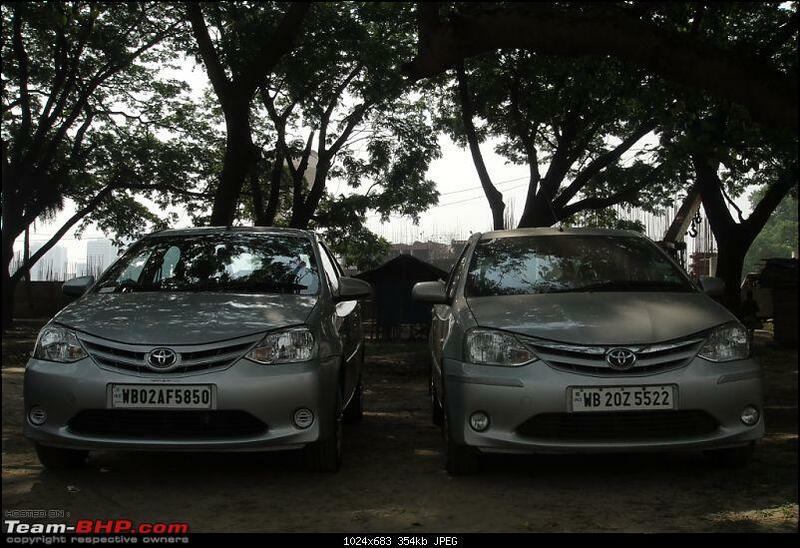 But, having the experience of owning a TATA Indigo LX & TATA Indica DLG previously, we were not prepared to risk ourselves with the peculiar issues and the niggles relating to our past experience. We even test drove the car and were not impressed with Test Drive Vehicle at all. 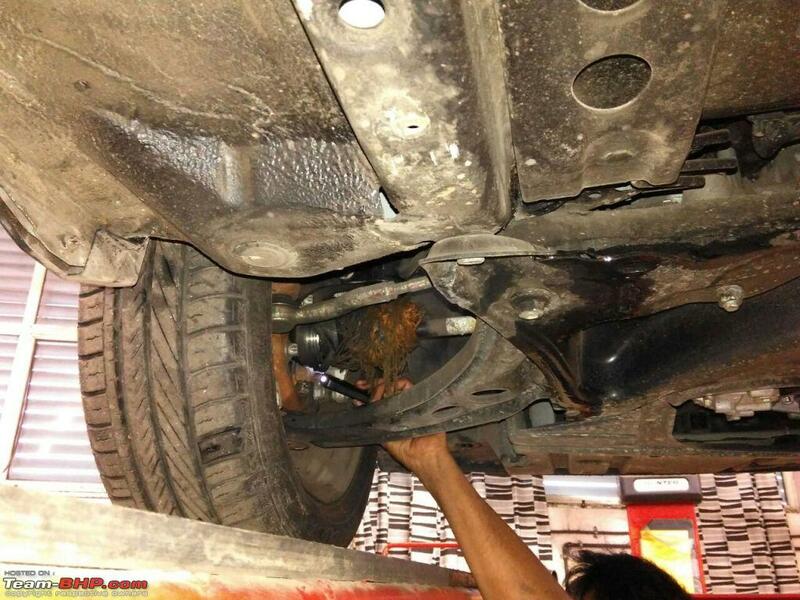 The wheel alignment was out of sorts, the seat did not recline etc. etc. So another one down. Again this vehicle always appealed to me but for some reason the presence of a single dealer in our city and the consequences of the same with regards to service that could be provided vis-a-viz the cost was a subjective matter which did not even let us make up our mind for a test drive of the car. Outright ruled out ! We had no intentions of even going in for a test drive of a vehicle that looked outdated until a friend of mine who owns 3 Innovas forced me to check the Car out at the nearest Toyota Dealership. Planned a sunday family outing (with Mom, Dad, Wife and Kiddo) to Test Drive the ETIOS at the Topsel Toyota showroom near Ruby Hospital in Kolkata. 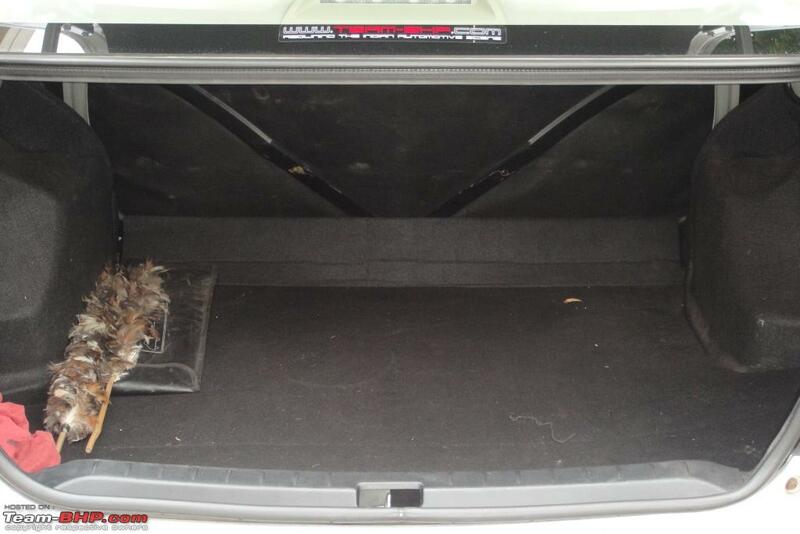 Before requesting for a test drive, my father asked the Sales Executive to open the hood and the boot of the Etios. Once they opened the hood, me and Dad fell in love with the compactness and the arrangement of the 4 Cylinder 8V SOHC D-4D 1364cc Engine Set Up of the Etios. 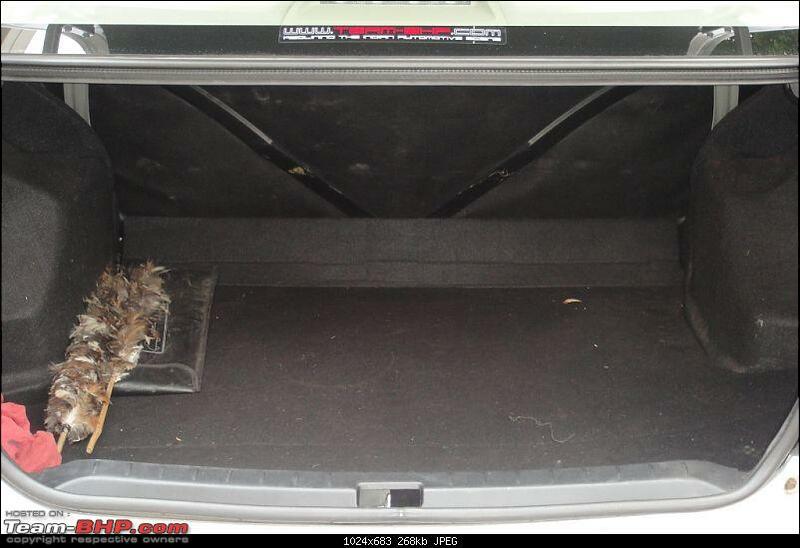 Even the 595 Litre Boot of the Etios looked very impressive. After checking what's under the hood and the boot, it was now time to park ourselves inside for the Final TEST DRIVE !! No ingress and egress issues for dad even on the driving seat. On Ignition & starting up the sound of the engine was crisp and we indeed liked it. The road outside the dealership which led to the main road was in tatters and the Etios did very well on them with no underbelly hit. I guess the upgraded 15" Tyres of 185/60 R15 made the difference. 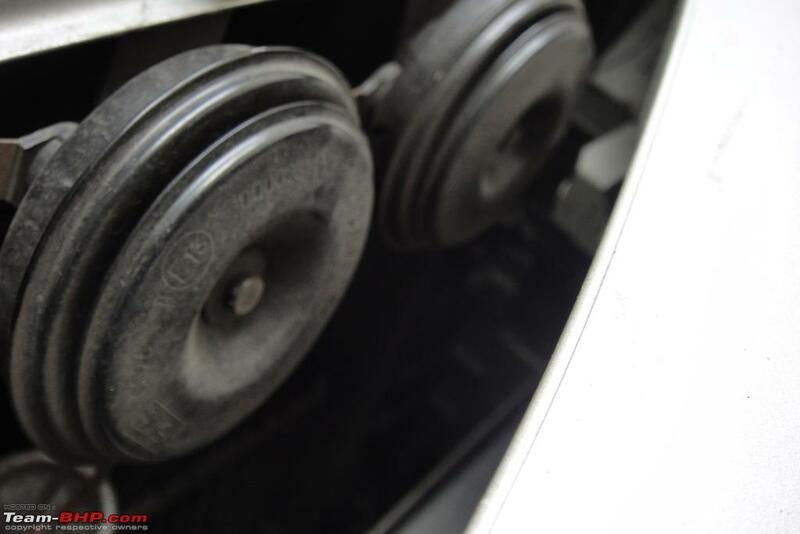 The previous one was equipt with 175/65 R14. While taking a U-Turn we gathered that the turning radius was also very impressive for a car as big as that and it handled very well. The AC cooled very effectively too. One aspect that we were sold out to (as brought to our notice by the sales fellow) was the fact that the Etios could do a 40Kmph on the 4th Gear without any rattling and also a 60kmph on the 2nd Gear without grunting. Considering that it would be in hired hands and mainly for city driving, this was important and it passed that test. We had finalized on the ETIOS GD variant and asked the Topsel Toyota fellows to get back to us w.r.t. the availability of colours and the discounts that they would be offering. 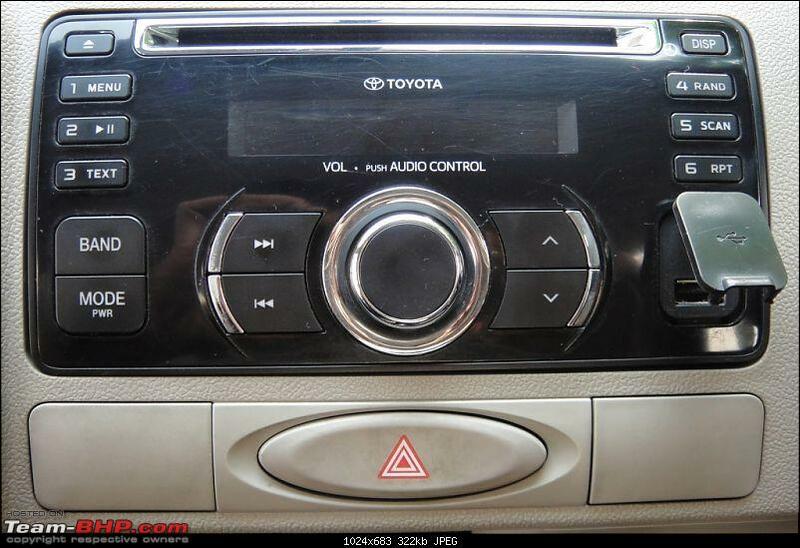 Since, there was no follow up from TOPSEL TOYOTA's side for a week; it was the 24th of June 2015 and we decided to approach another Toyota Dealer - SAINI TOYOTA in Howrah. There, we met Mr. Nagmani Singh (the GM - Sales) who informed us that the GD Variant in Silver Colour that we were looking for was out of stock but could be arranged in 15 Days time. There was a container which was due to be shipped on that very day itself. Mr. Nagmani called up the plant in front of us and asked them to Invoice & Send the GD Variant in Silver Colour that we were looking for alongwith the said shipment. Great Attitude !! We paid up the Booking Amount instantly !! Finally got the Delivery of my Vehicle on the 11th of July 2014. It has been my best experience of taking the delivery of a car till date. The Sales Team handed over all the documents to us. The Head Customer Relations came and met us separately. A Service Advisor came over to give us an insight on the ETIOS. All in all an excellent overall complete experience !! 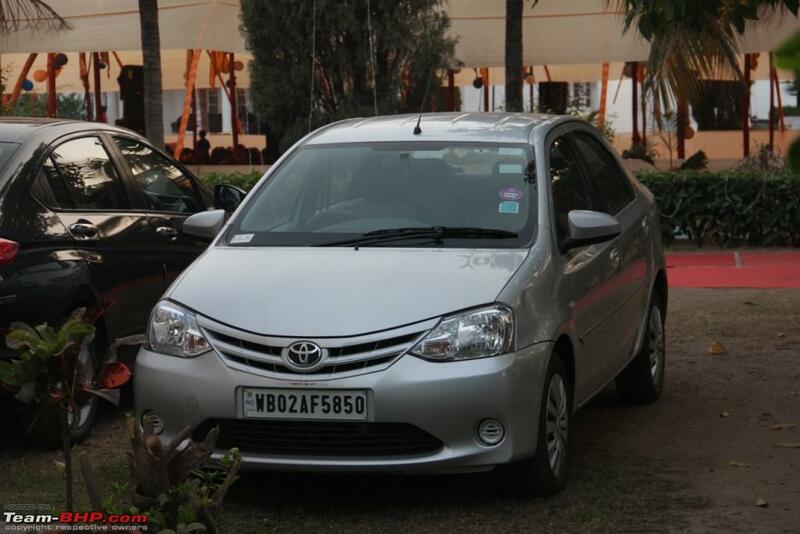 The Toyota ETIOS is a car about which a lot has been spoken about in all ways. However, we went ahead with our gut feeling taking all practicalities and considerations that needed to be taken. At the given price it was a very good package in comparison to it's contenders. The look & sound of the indicators inside the car - Reminds me of my Maruti 800 days "Tik Tok Tik Tok"
If we thought the exterior looked boring, outdated and the ugliest of the lot; the interiors set up was even more difficult to digest with the Speedometer being in the centre of the Dashboard as most of us Indians are not used to this set up and have a mind block to this offering. 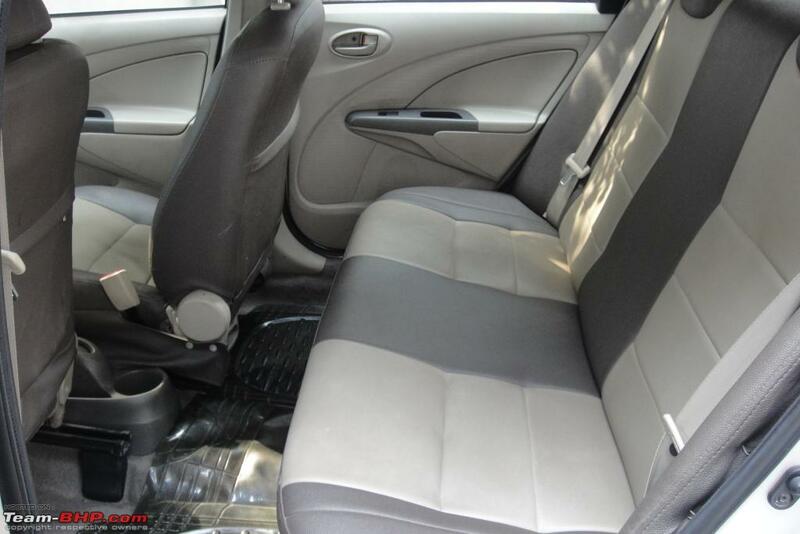 But in comparison to it's predecessor which had a though and through grey interior the new two tone interiors gives the Etios a Very Upgraded & Roomy feel from the inside. Getting used to the centre console cluster is a matter of time. I would say, that it's better since it's driver driven. You can keep a check on everything while being seated at the rear. While self driving, the visibility is definitely a plus. 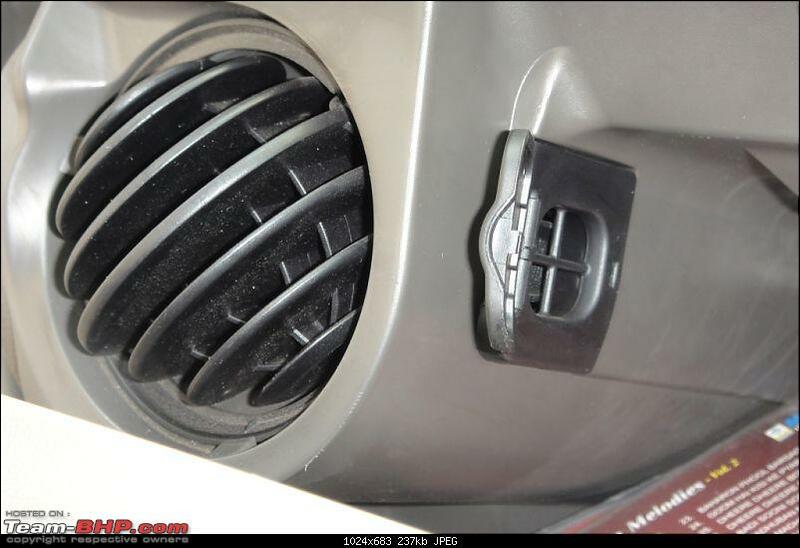 The AC Vents which initially feel to be oddly placed, does excellent cooling at the rear and that's exactly what it's job is and it does it pretty well. They do not chill chill, but yes it keeps the cans & the fruits etc. cool enough to your liking. 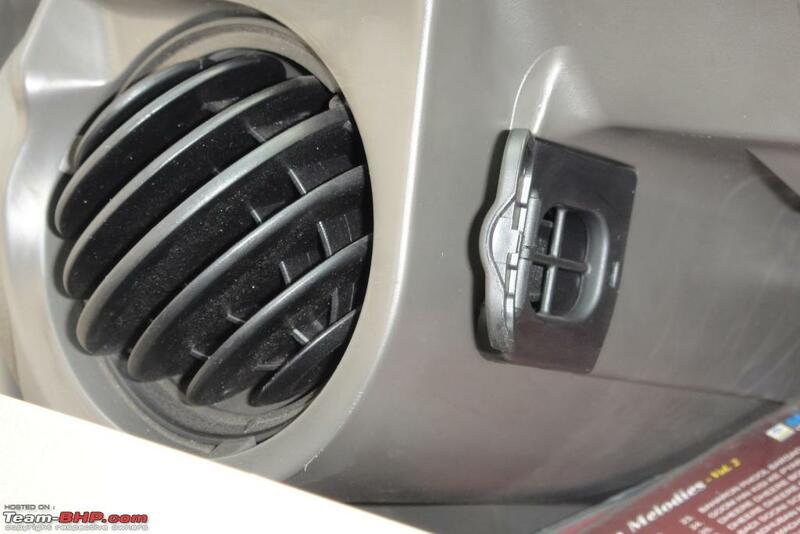 Toyota has put a lot of thought into the 4 speakers being at the front and no rear speakers. Focusing on the fact that this car would either be used in the commercial segment or for domestic use (meaning chauffeur driven), the passengers seated at the rear are not effected with the music playing in the foreground as it does not make it unpleasant for their ears. For the ones who shall keep the vehicle in their self drive, all 4 in front is all the better; according to Toyota. But, yes this suits our family and negates unpleasantness of the music playing in the car. However, the sound quality is nothing close to being very good or great. It's just that it's there and that's all about it. The are small just like the bike horns and effective. No wires cut here. Merely used a split wire to connect the two in order to avoid the warranty getting void. Thanks to BHPian Samba for the guidance provided by him. 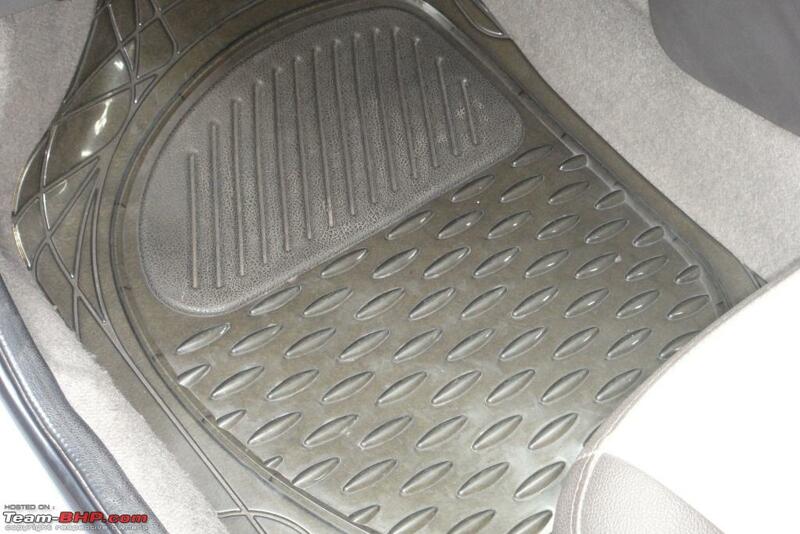 NOTE : Check the minimum & the maximum legroom in the above picture and the Door Pads with No Fabric Trims ! Saini Toyota had called up and sent their personnel to pick up my car for the 1st free service. The regular check up service which did not involve any major cost. A few issues were sorted like the door handles being a little to stiff to our liking. Also, would like to mention the 3M Under Body & Doors Anti Rust Treatment which was done in this service under a 5 year warranty plan. This Costed Rs.5,225/=. I very rarely drive my ETIOS. Once our entire family was invited by my Uncle to his native home in Barakar to attend a function and we decided to take the ETIOS as it would be more spacious than the Ford Figo (which I usually drive) for Sure. 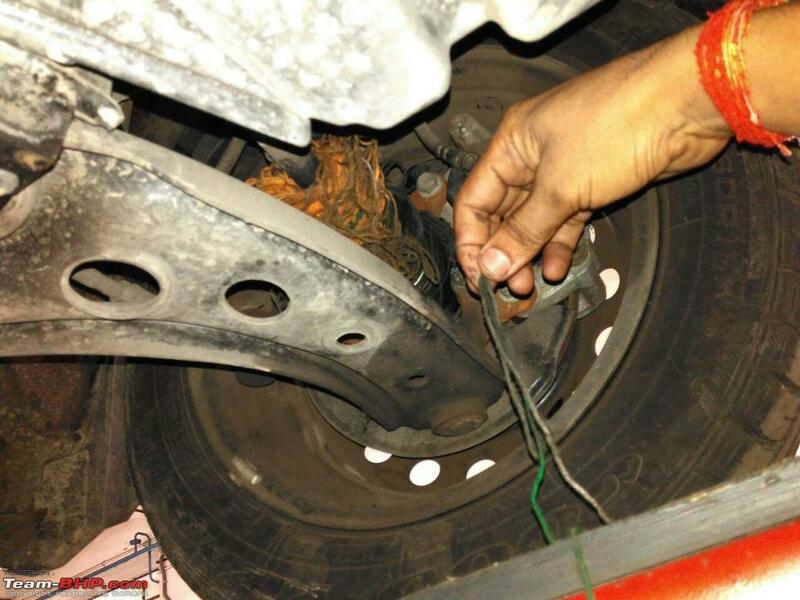 It was a 500Km+ to and fro drive from Kolkata which had to be done in a day. The highlights of the drive was the comfort which did not drain us and if we talk about the mileage here - It was 22.40kmpl for the trip !! Notice the Cubical Set Up of the Tail Lamp Lights in comparison to the previous Cylindrical ones in this snap ! A much welcomed change ! The above was before the 2nd Service was done and as mentioned earlier, my ETIOS does not do Highway Runs as it it generally chauffeur driven within city limits only. 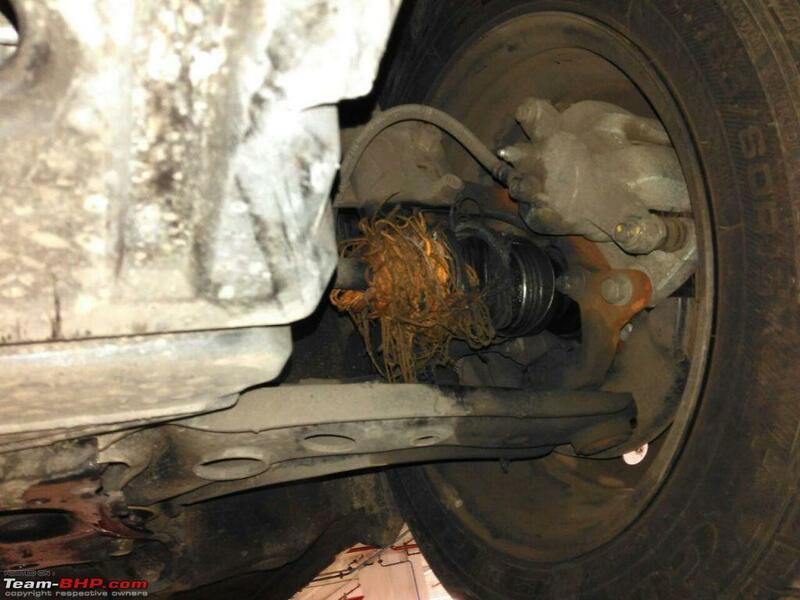 An endless rope had rolled up into the front left drive shaft causing damage to it. Luckily, the drive shaft was still running fine. 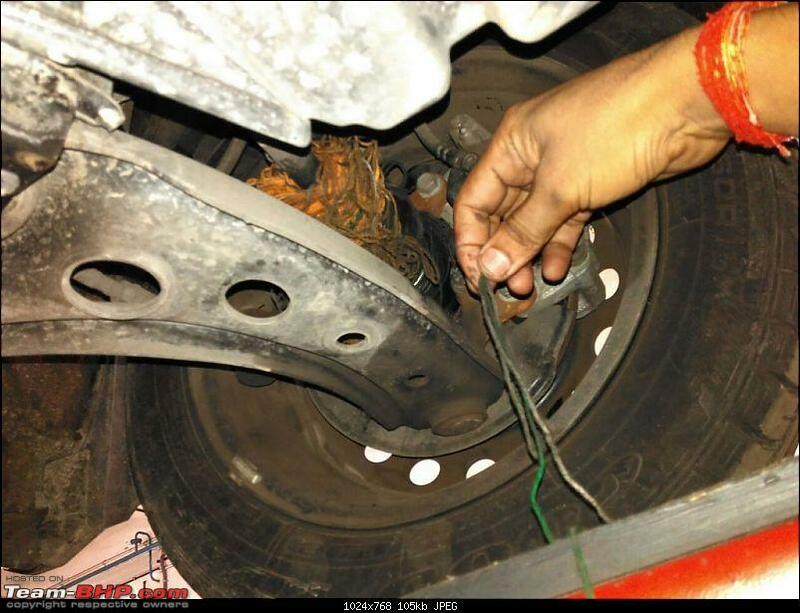 On detailed inspection it was observed that only by changing the rubber boot of the Driver Shaft the problem could have been sorted. But, unluckily the rubber boot was not in stock and I was asked for my opinion on either to change the entire drive shaft which was not required or instead wait for a few days till the time the spares arrive on priority basis. I opted to wait for the spares to arrive. After a few days, got a call from Toyota mentioning that the spare had arrived and I sent the car to their workshop for the issue to be addressed. Availability of such critical spares is a boon to the end customers. A lot of companies do not encourage this and rather suggest to change the entire assembly. 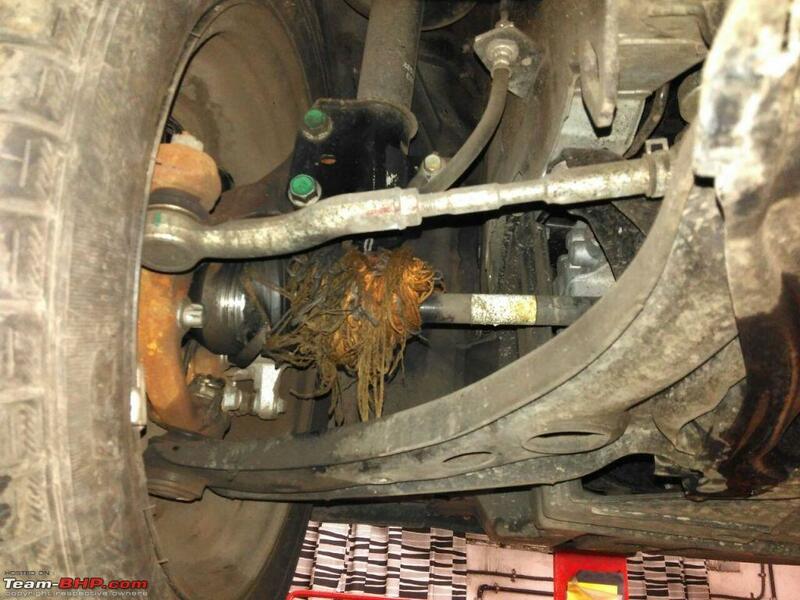 Thanks to Toyota that this was not the case with them ! Notice the difference in the ORVM's of both the ETIOSs. 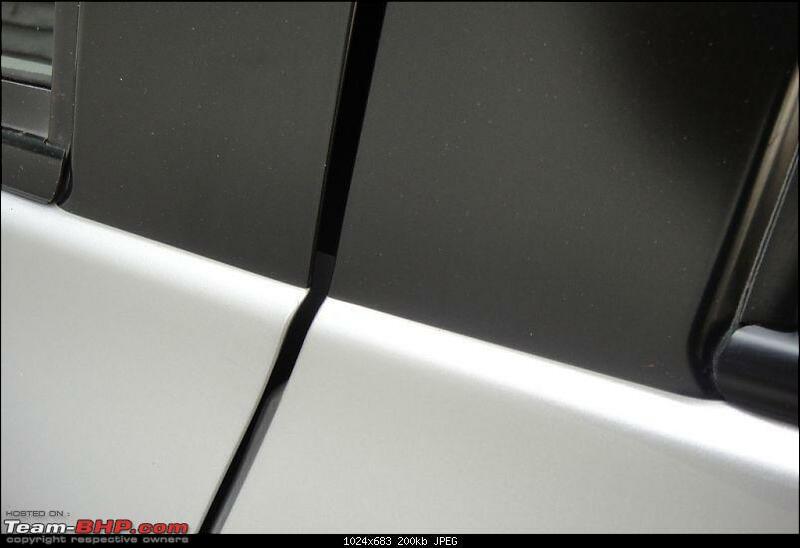 The one on the left is the refreshed one having a conical ORVM in comparison to the previous rectangular ones. 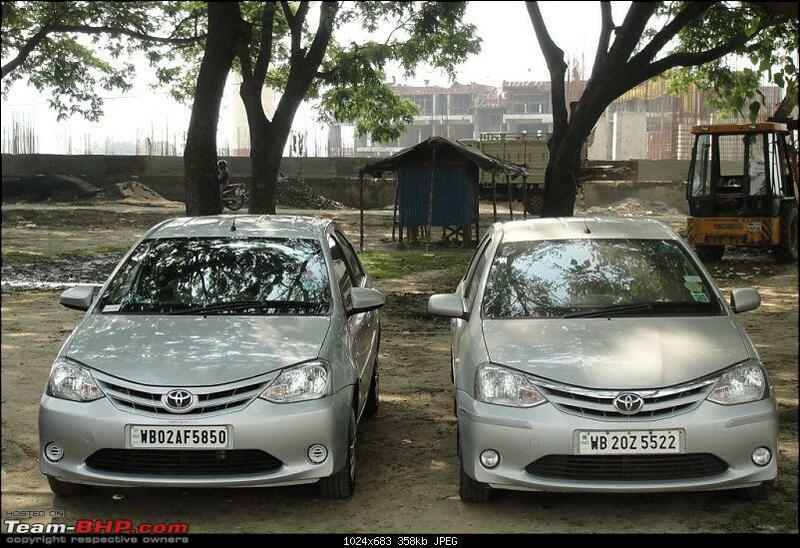 Samba's Etios (Petrol - G Variant) is the one on the right and mine (Diesel - GD Variant) is on the left. Both the cars catching up for some spirited time together. For those who are a little apprehensive on the ETIOS, I would like to say that even I was in your boat till sometime back; but on practicality grounds I feel it was a very good and honest decision of ours in getting the ETIOS home. 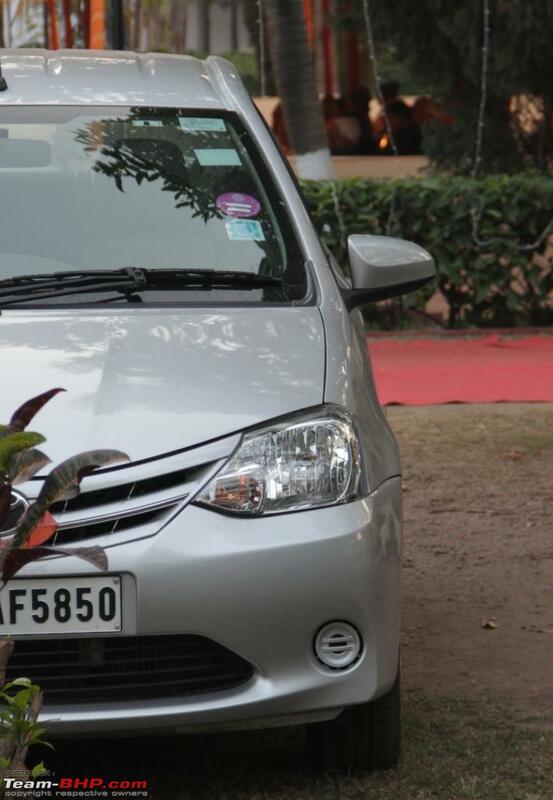 I would rate the ETIOS as an extremely practical daily commuting vehicle. Great review AJ. This reminded me of the time we made the decision to buy the Etios VX. 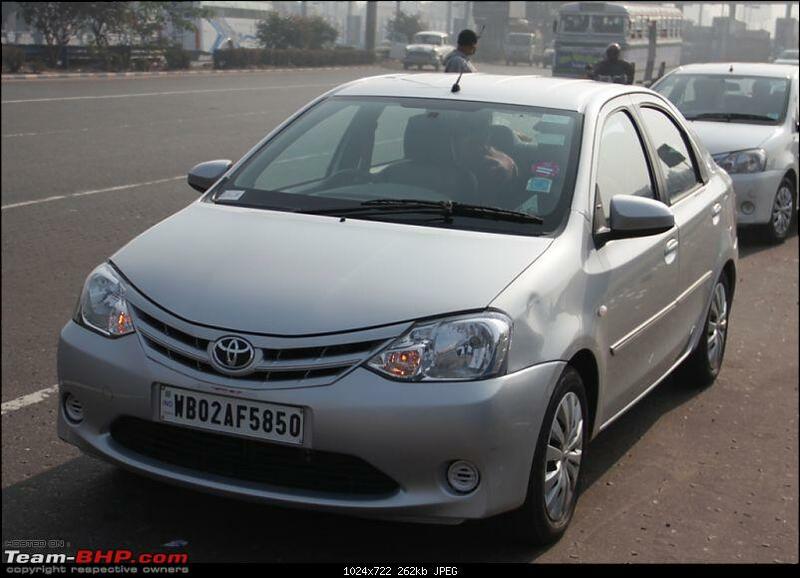 My Dad trusted the brand name TOYOTA and went ahead to pre-book the Etios back in 2010 - 2011 without having an idea of the exact price or detailed specs. 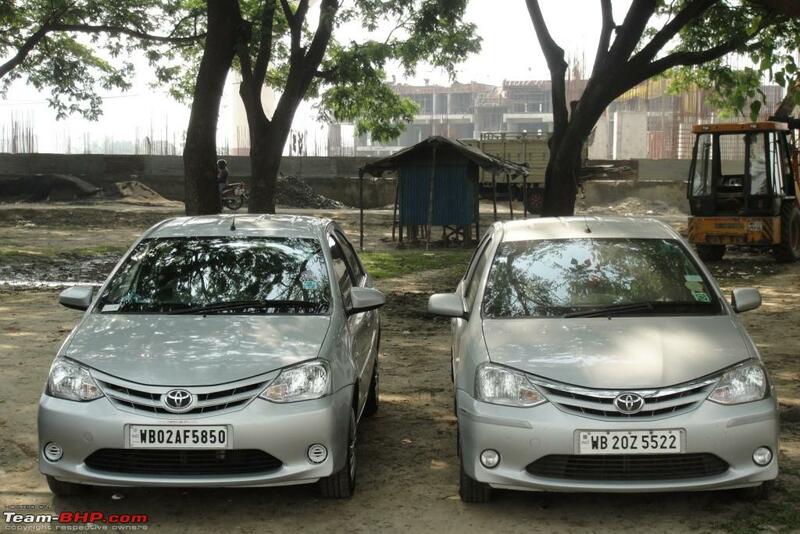 We were soon the proud owners of the first few Etioses in Kolkata. I was not in town back then and got a description by my Dad on how his decision was a perfect one. Apart from the two negatives mentioned below (especially the body quality), I love driving the Etios. Though, since I have got the Ikon 1.6 I find it difficult to decide which wheel to handle when it comes to a family outing. A crisp to the point and a very unbiased review. Anyone looking for a diesel Etios should have a look at this review. A week back my friend was looking for a hatchback and we ended up visiting the Toyota showroom. 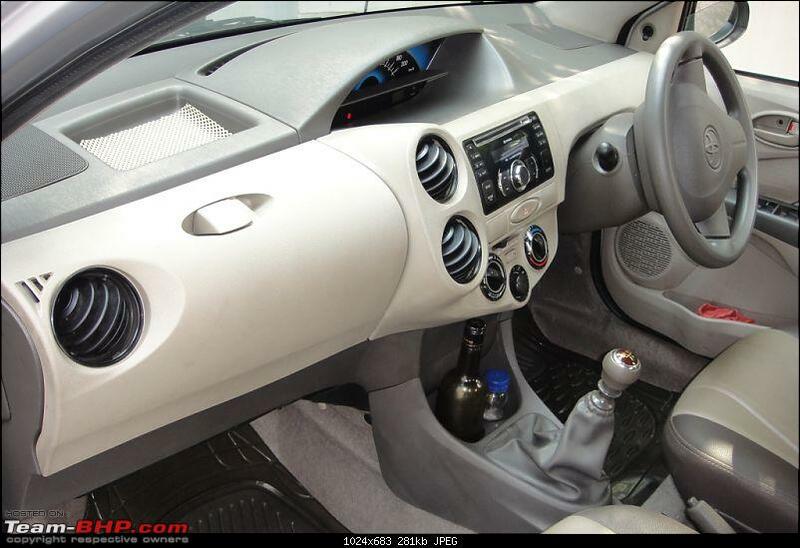 There i test drove the Etios cross 1.5 petrol and the Diesel Etios. 2)The interiors are good, spacious and comfortable. 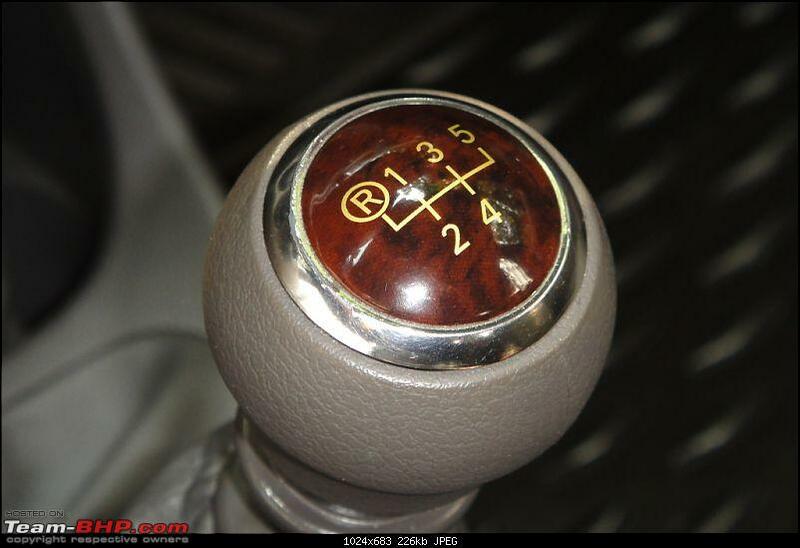 The only sore point can be the center speedometer console. But one can get used to it with in a few days. 3)The handling improved further due to the 185/60/R15 tyres. Tried taking a sharp turn fairly at a higher speed and the car did it without any fuss. Slammed the brakes at 100km/hr to test the ABS. It came to halt in a straight line with out losing its composure. But yes there was a bit of wheel lock at the end inspite of the ABS. But the stopping distance was really commendable. 4) The driveability of the D4d engine is just excellent. I shifted till 5th gear without even touching the accelerator pedal. The car was cruising smoothly around 50-55kms/hr. Tried climbing up a steep incline without touching the accelerator pedal, it climbed up smoothly in 1st gear with the A/C on. I have put 5th in 30km/hr and from there the car picked up nicely without any engine knocking. The linear turbo is a boon for city driving. The in-gear acceleration is really decent. 5) The ride quality was excellent over bad roads. It was not at all bumpy. It was really a comfortable ride over bad roads. 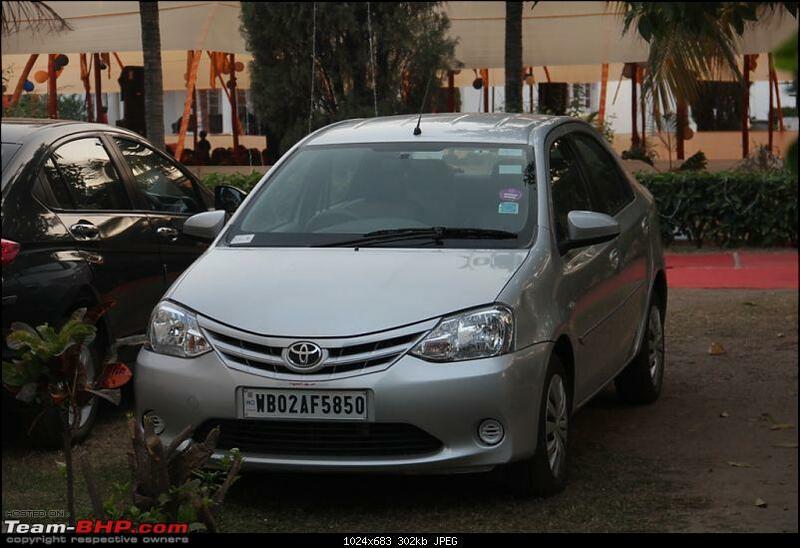 After the test drive my friend booked the Toyota Etios Liva as the Etios sedan was going a tad out of his budget. Plus for self driving with in city the Liva will be easier for him to park and squeeze in heavy Kolkata traffic. 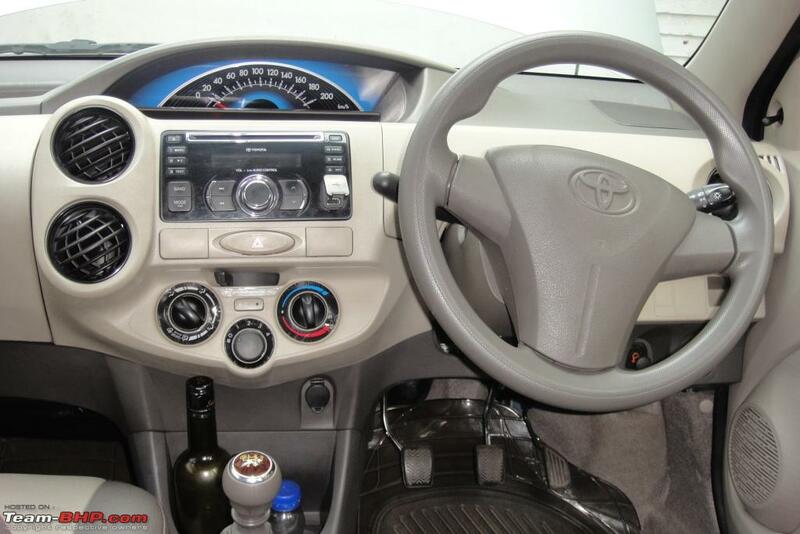 In comparison to my 2011 Etios 1.5 petrol i would say Toyota has improved a lot, starting from the boring interiors, NVH level, Standard airbags across all the variants and few more. Etios is a value for money proposition with the over all package it offers and the special mention should be its low maintenance cost. But at the end of the day i will say the fun of the 1.5Liter petrol engine is altogether in a different league. Cant resist the temptation of sharing a pic of my Etios after seeing so many pics of your car and specially the last few pics of our cars together! Last edited by Samba : 12th May 2015 at 16:08. 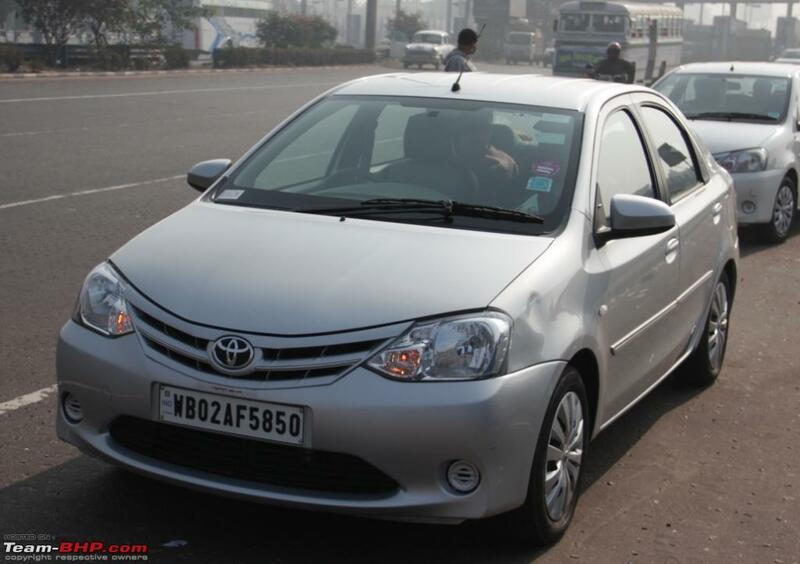 Thank you for this ownership review at 10000km for the Toyota Etios Diesel. It makes excellent reading.I have a 2012 model which has now covered 54k odd kms and the vehicle is still going strong. Initially all my friends were critical of my decision to buy the Toyota Etios GD. Despite frequent long runs from Chennai to Madurai, Kodaikanal and Bangalore it has held together very well and the maintenance costs are Low. 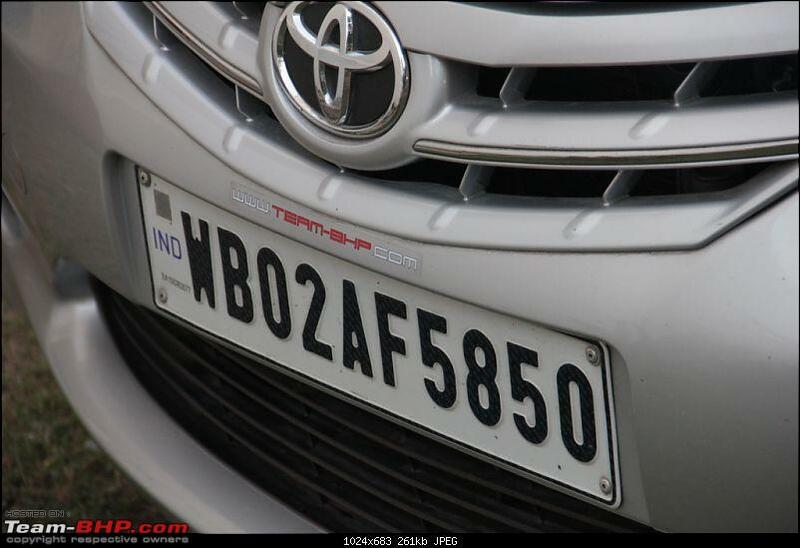 My decision to buy the Toyota Etios is now vindicated. Incidentally, my wife who was used to driving an Alto earlier prefers to drive the Etios as it a much more comfortable car to drive. 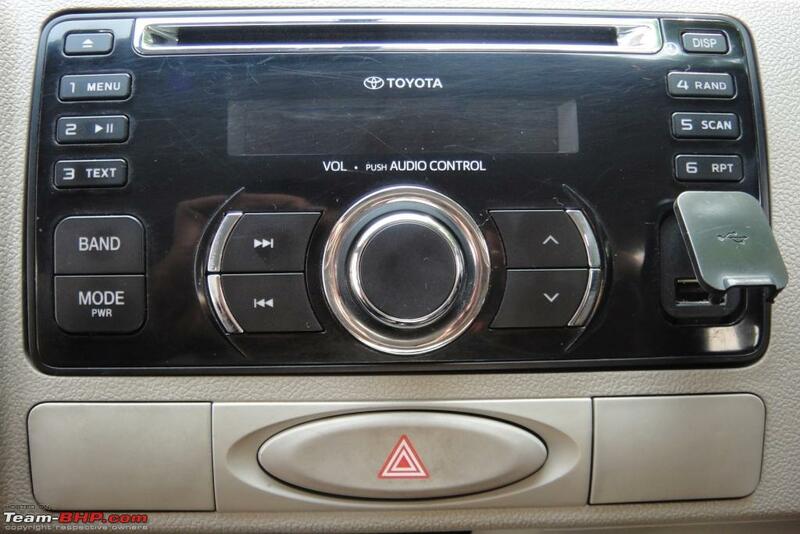 AJ - Good compilation and buying experience on Toyota Etios GD variant. Had it not been for the bland interiors the car would have fared better in the Indian streets. 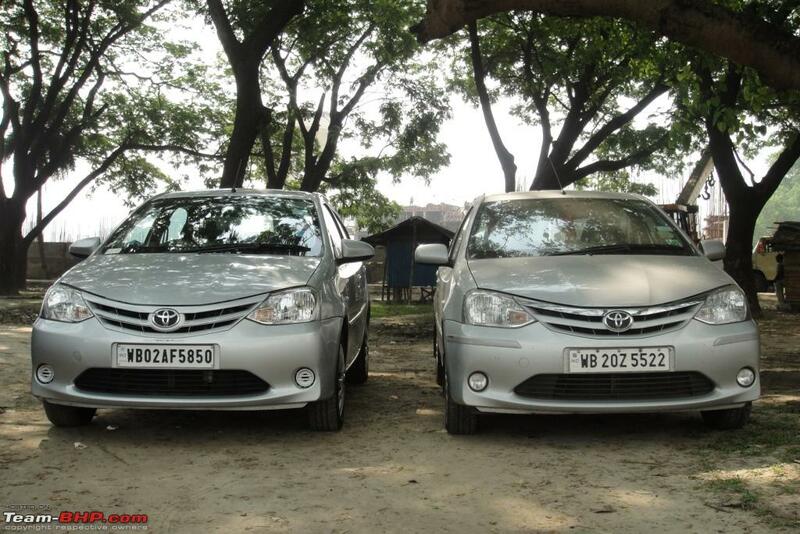 Etios has more to offer compared to its competition. But the product was not marketed well. But Toyota's are downright reliable and in some cases the maintenance cost is lower than that of Maruti. I would have loved to see some new colors being offered on the Etios which would have been refreshing given that the car is in the market for sometime now. 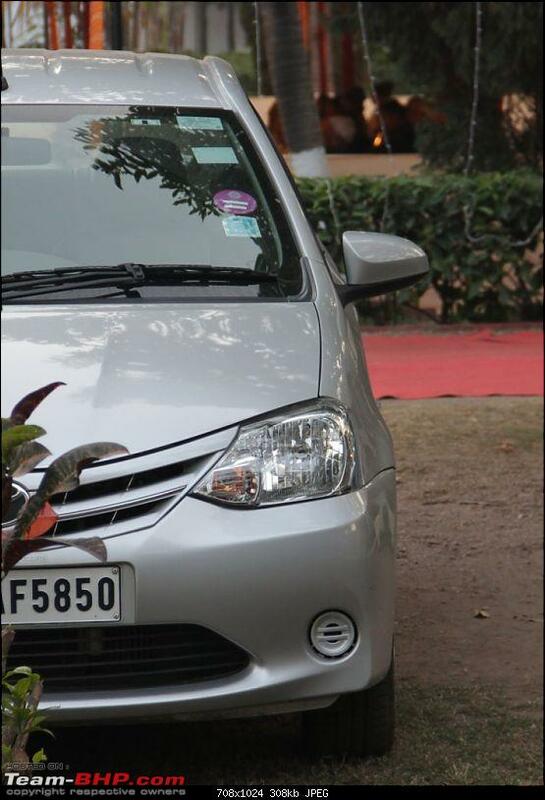 The picture showcasing both your car and Samba da's car is fabulous. Wishing you many a happy miles with your car. Congrats on your purchase. IMO Etios is a car you buy with your head and not with your heart.The reliability and the fuss free ownership experience are its strongest USP. As a family beater no car would come close to Etios and you have surely made the right decision. The only downside of an otherwise competent car is the look and feel of the car from the inside as well outside. Drive safe and wish you many happy miles with your Etios! Great review! 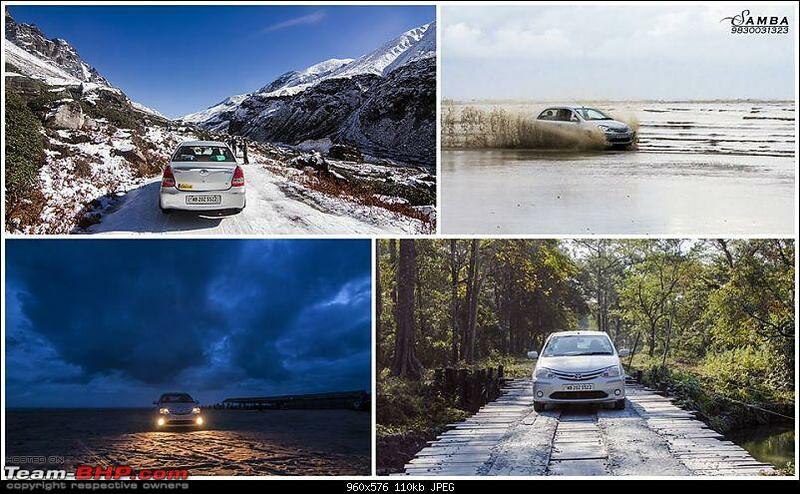 An Etios is the best example of an out an out workhorse!! Amongst my cousins we have one Etios and though it might not have the luxurious interiors but it has slowly become our choice for long trips! Unbeleivable fuel economy to the level that we are usually ashamed to disclose our fuel bills after a long trip! Lol!! Congrats on the car! We had very similar requirements in 2013, and ended up picking a classic gray Etios VD SP. 20K kms later, the car is running beautifully, and honestly met all our requirements then, and even today! Prior to this, we had (and still have) a Liva GD, which at 57Kkm is still going strong even after being abused by the chauffeur and others who used the car. 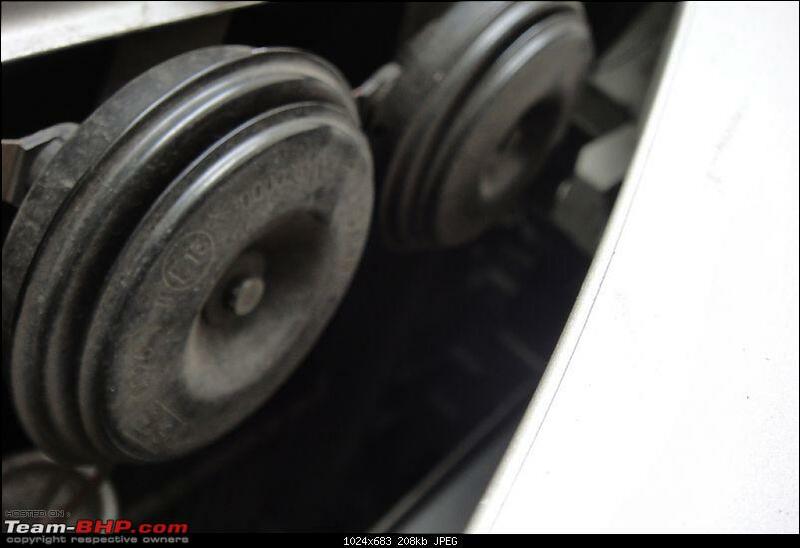 - Have you thought about getting an armrest installed? We picked up one from Toyota itself and it is very comfortable. The fact that it can be removed easily only helps! - Regarding the headlights: Would recommend switching back to better 55/60W bulbs instead of the ones currently used. The Etios has a very effective headlamp levelling knob, and in the wrong hands (chauffeur) could be a big hindrance to others. Great review of a true workhorse. 10,000 kms is nothing for this Toyota. The Etios is a great beater car and can transport a family of 5 very comfortably from A to B. I really wished that it was a more successful product in the Indian market. It deserves to be so. Awaiting the ownership review of your Figo. Hope to read it soon. Great write up for the new car. The detailing of the competitors will definitely be handy reference for prospective buyers. 1. As a current owner of Etios, I would like to request you to step down the headlamp bulb from 130/100 W to 100/90 W. This will be a little easy on the oncoming traffic and also increase the life of the headlamp reflectors. Also due to the heat the outer glass tends to become hazy over continuous usage. I too have upgraded the stock headlamp bulbs to 100/90 W. Having spent my early 19 years of my life in Kolkata, I can confidently say that the street lighting is excellent in this part of the world. With such street lighting, methinks 100/90 W should suffice. This is just my two paise of advice. 2. Regarding the upgradation to dual tone horns, please get the horn fuse upgraded to 10 amps from the stock 7.5 amps. Again, being an ex-Kolkatan, I am aware of the necessity of honking in the "City of Joy". So with ample usage of horn, the fuse may (just maybe) blow off. (In fact, I too have changed my stock horn to Roots Windtone. After a few days, the fuse blew off, maybe due to repetitive honking. After that I upgraded it to 10 amps). The horn fuse is housed on the reverse of the speedometer. 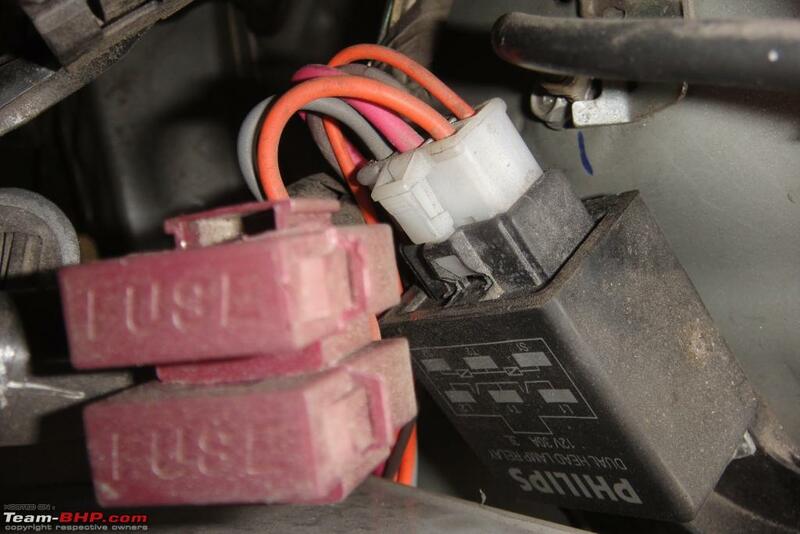 Please take support of your dealer in identifying the exact position of the fuse. 3. 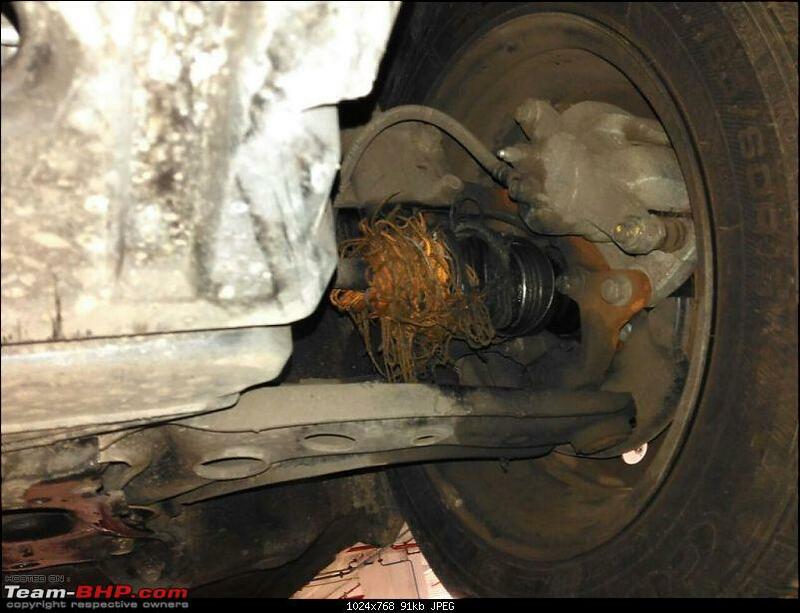 Regarding the rope damaging the boot (rubber) of the drive shaft. 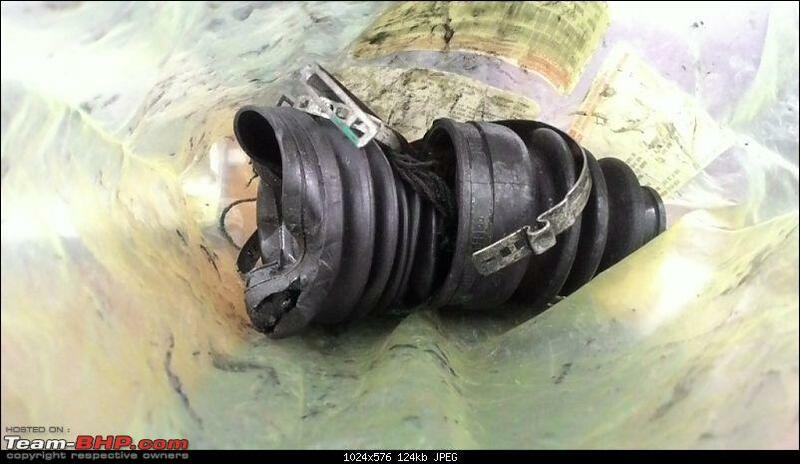 Please be doubly sure with the SA, that they have greased the joint, else it will tend to fail sooner than later. The 1.6 Ikon is a legendary car !! Super must say !! I had bought one pre-owned Ikon 1.6 from Mr. Deepak Kr. Gupta (who is also a BHPian now) for my Father In Law and it is a devil to drive !! Just love it !! Samba even I had driven the 1.5L Etios Petrol (out of curiosity) at the time of Test Driving the Diesel Etios; I just wish I could buy the 1.5L Petrol Etios !! But, on practicality grounds had to go in for the Diesel one. More than comfortable I would say it is rather an effortless car to drive !! Sam agree to what you have to say; but somewhere I feel that Toyota has not dynamically marketed this product of their's that well. Had they done it, the competitors what not have had the edge that most of them have as on date and the scenario would have been a lot more different. Ditto to what I mentioned to Sam !! Considering the fact that my Etios has only gone in for a couple of services till now, it would not be right for me to comment on the same; but yes, what I gather from a lot of owner's (of the Toyota brand on the whole) the maintenance cost is indeed very low. I indeed had to listen to my head over my heart while making the final buying decision and so far it's been so good !! I do not intend to add the armrest as it will be mainly driver driven and it would soak up all his perspiration which would not be as per my liking. 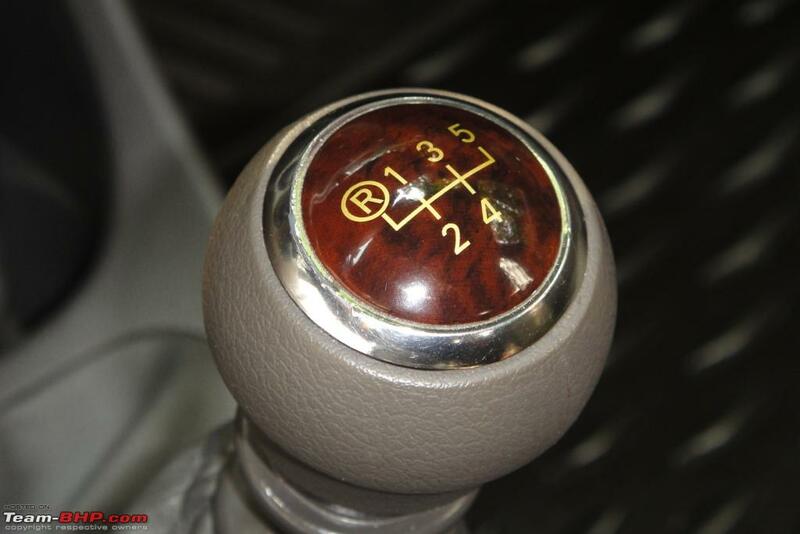 But, what makes you say that the "Etios Steering is light with Zero Feedback" ? 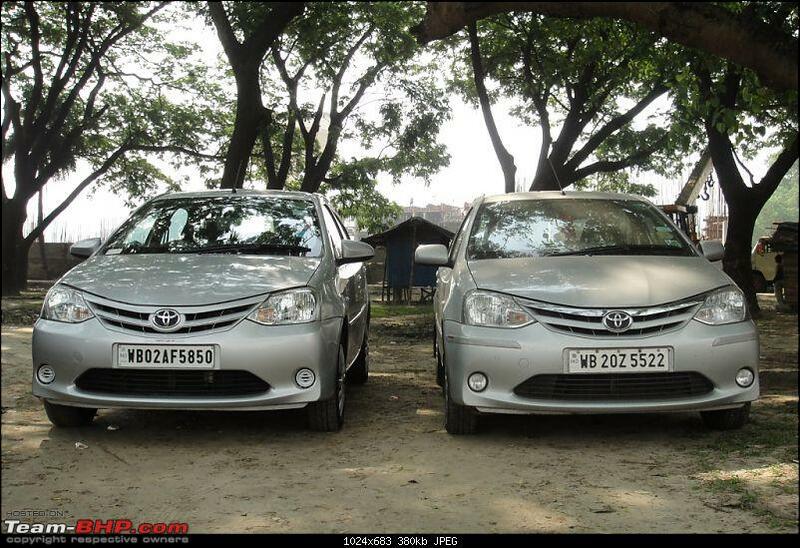 Have you driven the Etios by any chance ? I see a lot of Etios Owners here who have commented to this post without mentioning anything of that sort about the same and so am I not of the opinion as your's !! 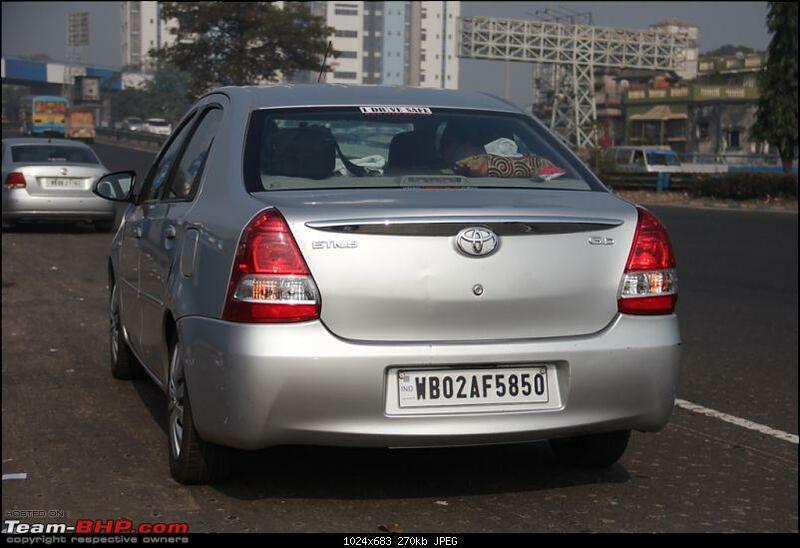 Kindly clarify as a lot of Etios Owners belonging to the Forum would like to know as to what makes you say that. And before I forget.....Congratulations to you and your family on bringing the Ford Fiesta Classic 1.6 home !! The electric power steering is effortless to use at 0 kph parking speeds, as well as when pottering about in the city. 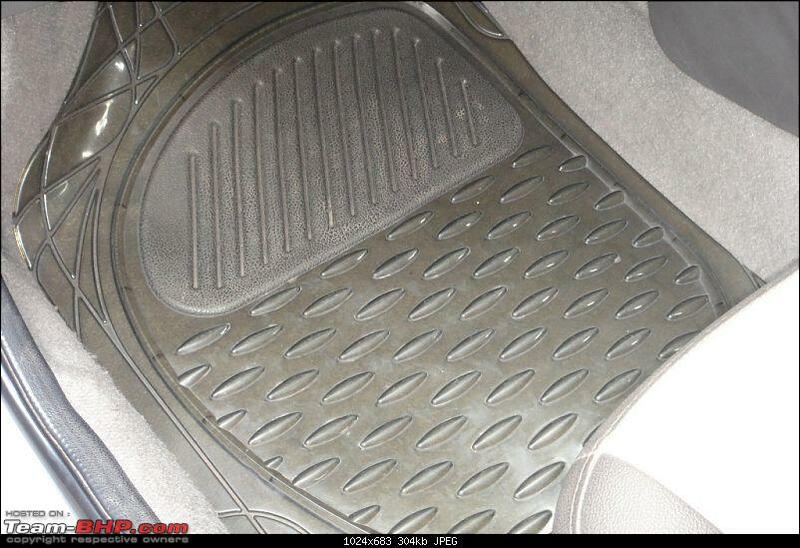 If you’ve driven a Corolla Altis, you'll know exactly what I’m talking about. Unfortunately, at speed, the steering stays light and feels like a playstation wheel. Don't expect any feedback either. Whenever I wanted to know what the front tyres were up to, I’d roll my windows down. Toyota should increase dead play in the center position. On the highway, even a slight movement on the steering will see the car turning. This is what made me say what I said. About my driving, let's not tell much about it as I have not attained the legal age to drive. Let's just say that I know how much a Ford HPS has in offer when compared to a, say, Hyundai HPS. 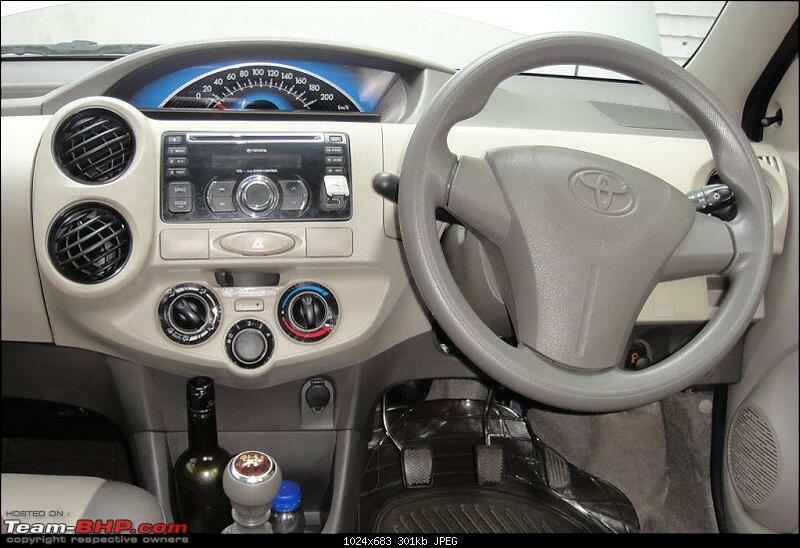 Well, The Etios' steering isn't as bad as a Hyndai unit. But, you own a Figo. If you drive both of the cars back to back on some twisties, you will get it what I meant to say. Last edited by petrolhead_neel : 13th May 2015 at 22:13. Last edited by BlackPearl : 13th May 2015 at 23:09.